With years of experience, I’m organised, attentive, full of ideas and very easy-going. Most of all, I’m able to provide you with that sense of calm when it matters the most. My ceremonies are happy, professional with some light-hearted humour and always enjoyable. “I’m a bit of a chameleon – I like to change things up. 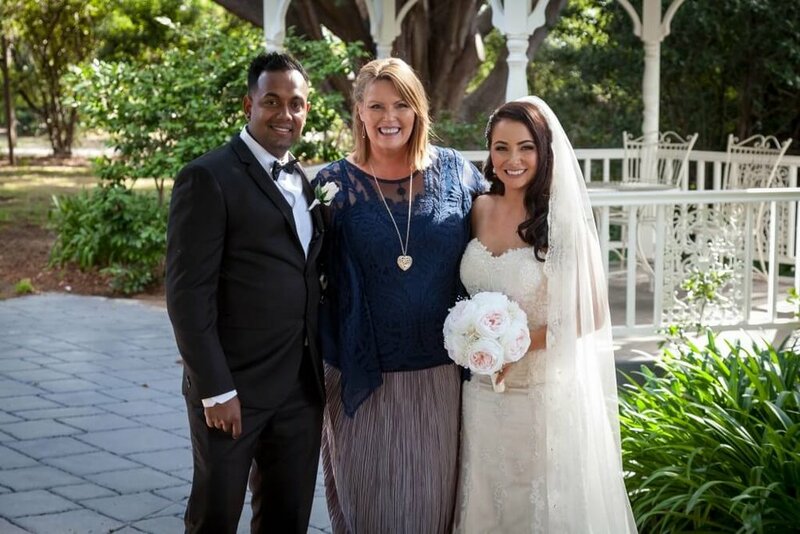 Choosing Lisa as our celebrant for our special day was the most important and best decision we made. Lisa not only steps you through the processes but is always there for those little questions that pop up and was a constant 'guiding light'. She not only relaxed us on the day, but also added energy and spirit while still coordinating our small group of guests to keep things moving. We had people ask if Lisa was a close friend or family as she really knew us and was such a part of our gorgeous celebration. We'd also like to thank her son for his precise work with the music and photos. We cannot speak highly enough of Lisa and the service she provides. She wrote and presented the most beautiful ceremony like she'd known us for years. Lisa is easy to get along with & her process is extremely professional, she communicates promptly and immerses herself in the relationship story. I am looking forward to chatting and sending some information through.